Arsenal are reportedly tracking the potential transfer of Fiorentina midfielder Jordan Veretout to replace Aaron Ramsey as he moves to Juventus this summer. The 26-year-old has shone in Serie A, despite an underwhelming spell in the Premier League earlier in his career with Aston Villa. 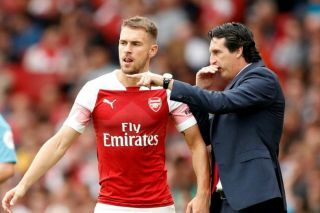 The Gunners now need a player like him in their midfield as Ramsey prepares to leave a major hole in that area of the pitch, and he’s available for just £25million this summer, according to Le Foot, as translated by Team Talk. The Frenchman is a decent scorer and assister from midfield, but it seems unlikely that this is a signing that would set pulses racing at the Emirates Stadium. Unai Emery has a decent record of improving players who don’t always start out as the biggest names, but a club like Arsenal might want to show a bit more ambition. Veretout could well end up being a smart signing on the cheap given that the north Londoners don’t have the kind of money to burn like most of their big six rivals, but one imagines they could also afford to aim at least a little higher.